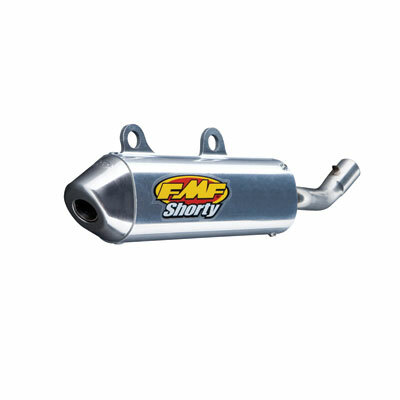 The FMF Power Core II Shorty Silencer is designed to enhance and maximize the bottom end and mid power gains and also provides a strong performance edge for any 2-stroke machines. The FMF Power Core II Shorty silencer is a lightweight silencer and it has easy to perform maintenance by using removable bolts to break it down. The FMF Power Core II Shorty Silencer is your best choice if you ride on tight tracks and supercross tracks. The Power Core II Shorty with its decreased core length is finely tuned to maximize bottom and mid-range power. The silencer of choice for supercross conditions.